BERLIN, GERMANY. 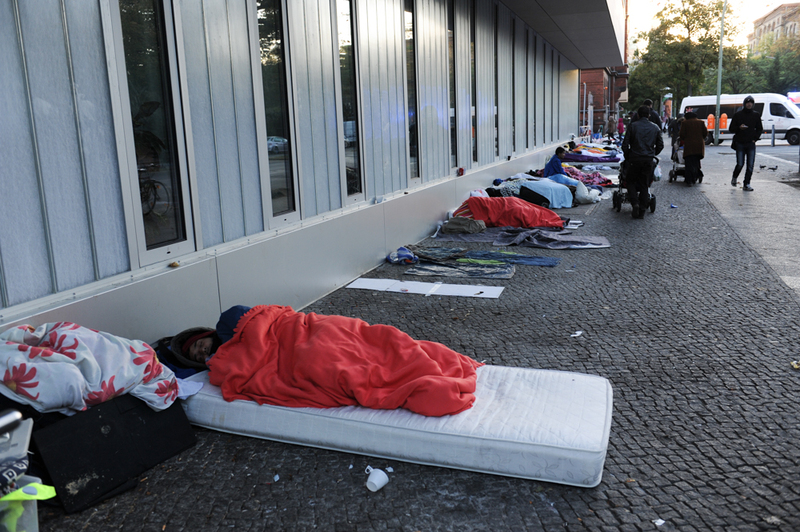 Men from Afghanistan and Pakistan sleep on Turmstrasse (Turm Street) in front of the office of Landesamt für Gesundheit und Soziales (LaGeSo), the State Office for Health and Social Services, where refugees and asylum applicants arriving in Berlin must go to register their application for asylum, in the Moabit district on September 28, 2015. German Chancellor Angela Merkel has said Germany will take 850,000 asylum applicants this year as many fleeing conflicts in Syria, Iraq, Afghanistan, Pakistan and elsewhere have migrated in mass to Europe through the Western Balkans seeking safety and a future.